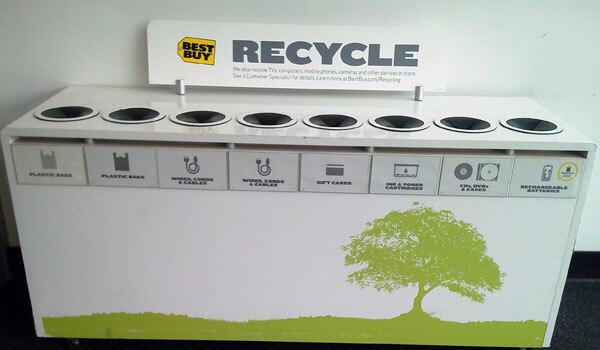 We found a local drop-off for our used CDs and other odd items…Best Buy (this image is from Plymouth Meeting). I think they would also make a bangin’ baby mobile. – Keep your emails limited to three sentences…otherwise, pick up the phone and use your words. NthDegree has developed a pioneering new method of creating beautifully colored solid state lighting products. Using our printed semiconductor technology, our lights are manufactured by printing our semiconductor inks with a standard printing press. This low-cost integrated manufacturing method creates lights that are flexible, lightweight and can be converted into many different form factors – adding significant value to the end user. Learn more about the company and their cutting edge projects here. Our Opening Date/A New Look For Our Award-Winning New Store! 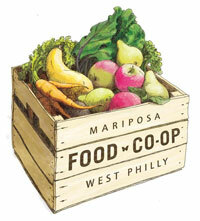 The Preservation Alliance of Greater Philadelphia awarded Mariposa Market in the 2012 Preservation Achievement Awards. The news couldn’t come at a better time as Mariposa opens its new space (The grand opening was March 17th). The new store is located at 4824 Baltimore Avenue in West Philadelphia.